Today Ohiophotogrl and I went to a garage sale and she got me a special present. She says now I can help with the home improvements! I can’t wait to get started. I even got some new accessorie! This entry was tagged 365, blog, kid friendly, laugh, Mr. 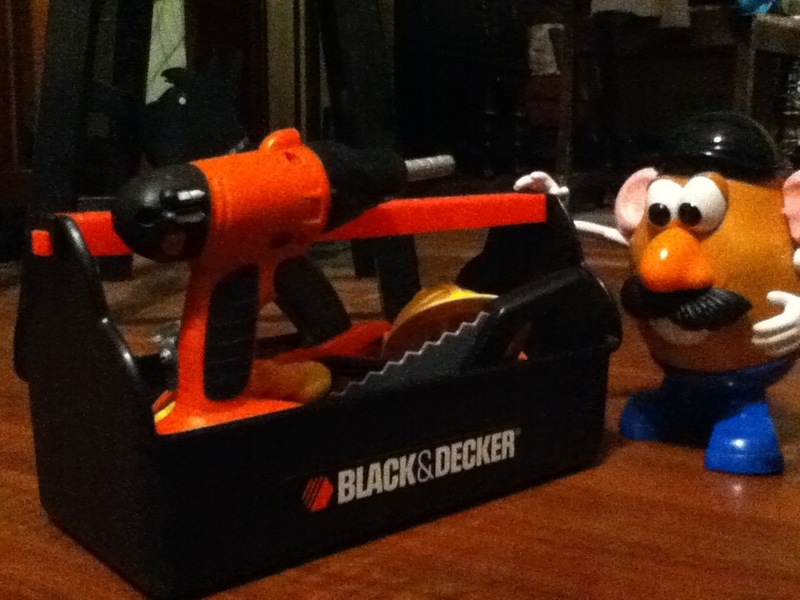 Potato Head, muse, picture a day, tools. Bookmark the permalink.